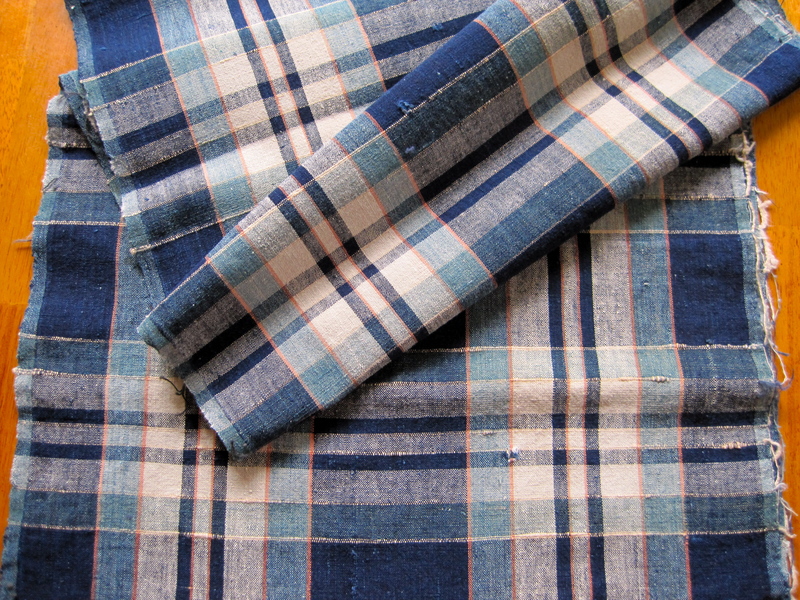 This vintage Japanese cotton plaid was hand woven using machine spun thread during the first half of the 20th century. 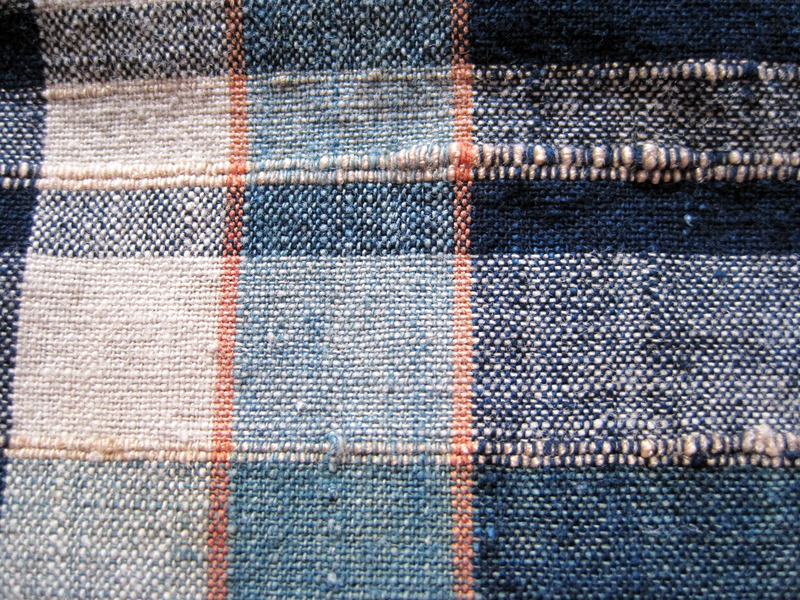 The weaver included chunky silk threads in the weft to mimic the texture of hand spun threads. The deep indigo colors are great and the fabric has a wonderful worn feel. 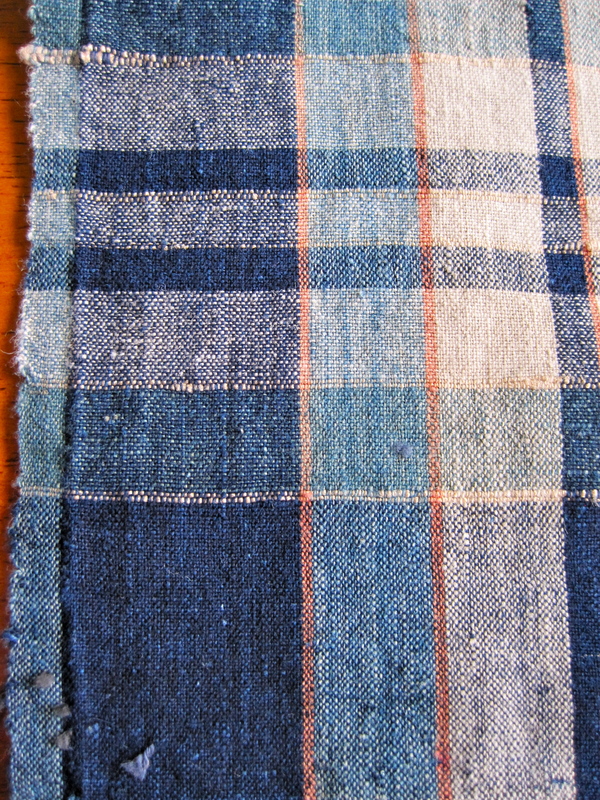 this fabric had been used as the top of a futonji.